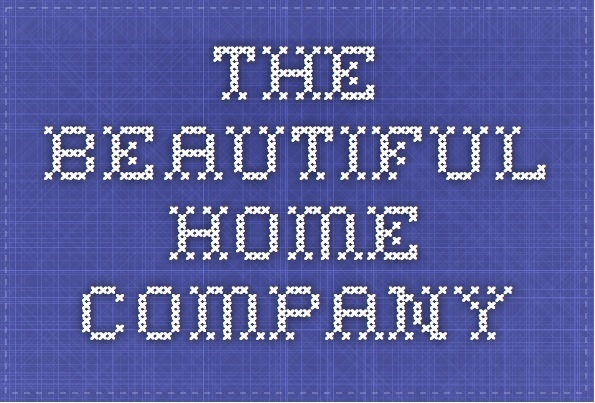 Congratulations on setting up the new studio! It must be lovely to have the opportunity to meet other artists and creators, sharing your crafts with each other. As you know, I’ve been learning about Javanese culture this month, and so I began with trying out a Javanese recipe. I really thought, having lived in Japan, I had tried every soy product known to man (sometimes I cannot believe that soy sauce, tofu, soya milk, miso paste, natto and edamame all originate from the same plant). However, Java (and most of the vegetarian/vegan community) has another use for this most versatile of beans: tempeh. 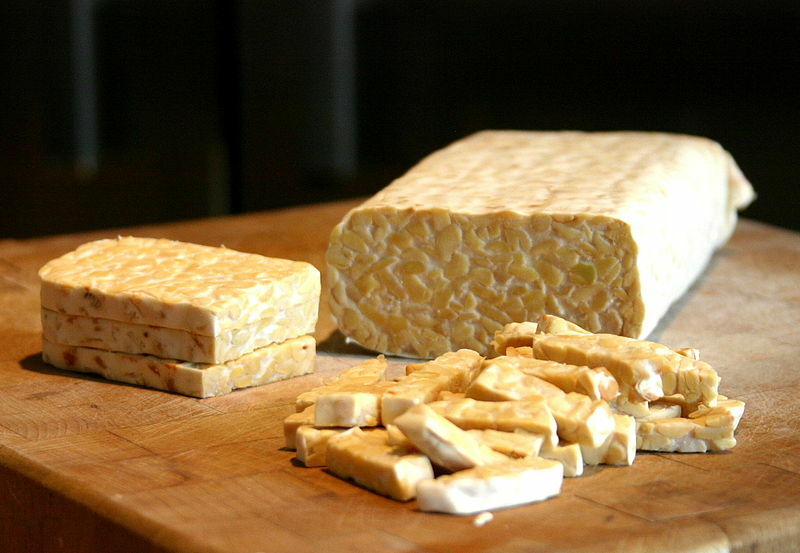 Tempeh has its origins in Indonesia, most likely on the island of Java itself. The earliest known reference to tempeh appeared in 1815 in a compilation of Javanese stories known as the Serat Centhini, but soybeans had been a part of the Javanese diet since the 12th century. Nobody knows exactly when or why people first began to make tempeh, but it could have been an accidental by-product of tofu production. 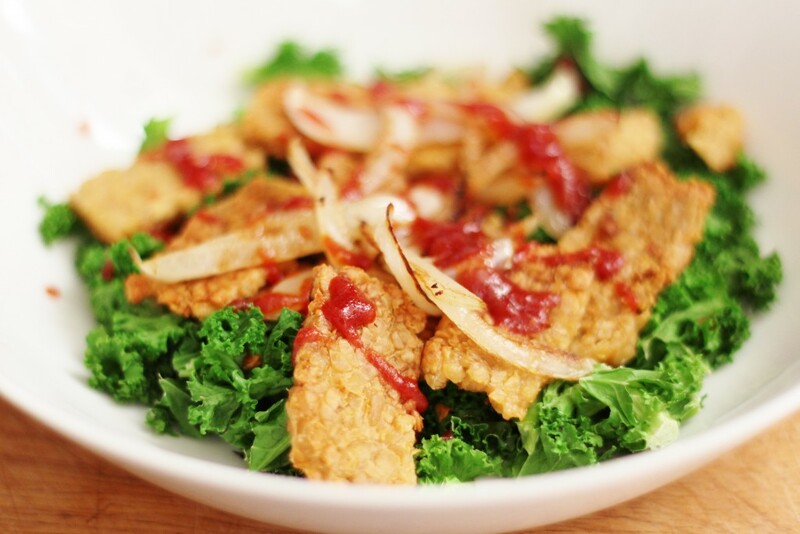 Today tempeh is produced by soaking, partially cooking and then fermenting soybeans. It is then sliced, marinated and fried, which gives it a distinctive nutty flavour. The recipe below has been adapted from one of my favourite cookbooks, World Vegetarian Classics. Having tried out a little taste of Java, I am keen to learn more about the island and have started reading a book by a celebrated Javanese author – but more on that later!